This award-winning Cbeebies live-action comedy show stars multi-BAFTA winner Justin Fletcher as Mr. Tumble, probably one of the most popular and recognisable personality's on children's television since 2005. The show uses Makaton sign language to help children with learning and communication difficulties which we've incorporated into one of our ELA activities. 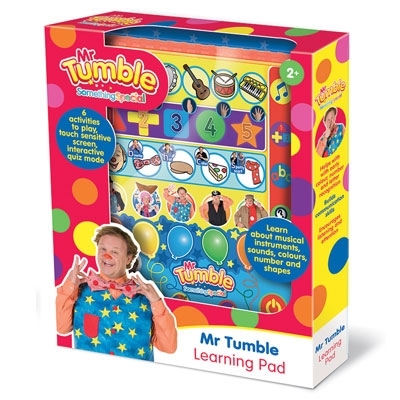 Learn about musical instruments, sounds, colours, numbers and shapes as Mr Tumble asks questions and encourages exploration of our Mr Tumble Learning Pad.